We’re having a recruitment drive this coming Friday at the Church for the Boy Scouts troop. It is a simple bit of code that challenges the user to change the message that is displayed with a bonus to change the color of the Boy Scout logo on the top of the page. 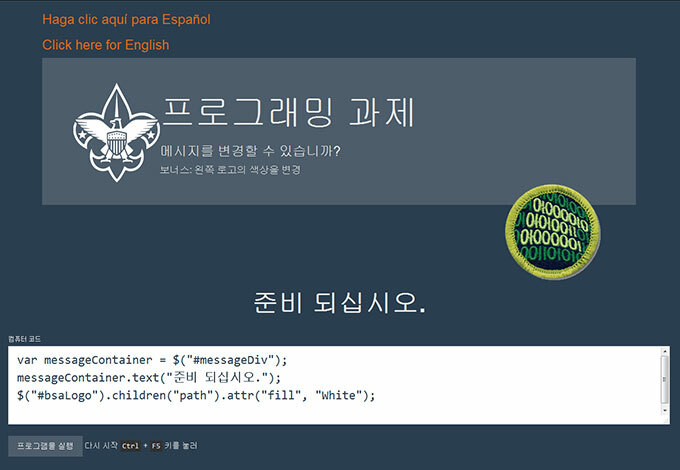 There is also a Spanish and Korean version of the page. The code is up on GitHub and has an MIT license.